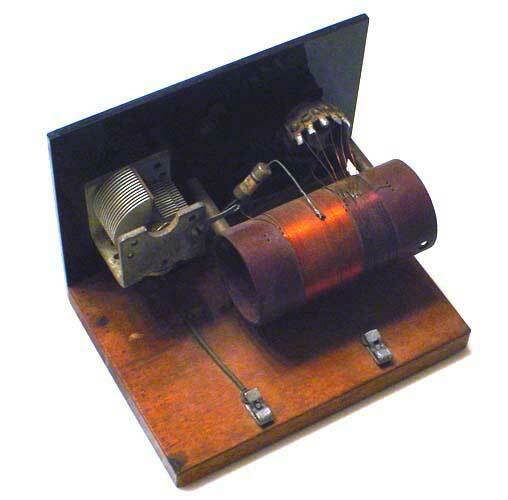 This is a neat simple homemade crystal radio built on a small block of wood. 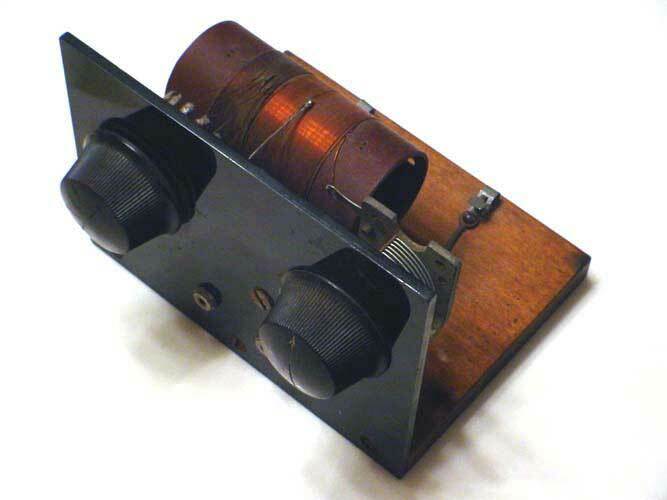 The detector is a 1N34 diode that appears to be from the sixties but I could be wrong. The left knob adjusts the tap on the coil for small increments in band range and the right knob adjusts the variable capacitor for tuning. High impedance earphones plug into the two terminals on the front panel. With a 6-foot antenna, a suitable ground, and a high gain amplifier, this homemade radio works surprisingly well.